Production is now underway on Rob Zombie’s sequel to The Devil’s Rejects. That’s the news which nearly broke the internet this week, sending horror fans everywhere into a frenzy, and understandably so. Titled 3 From Hell, the pic will reunite the core trio of Spaulding, Otis and Baby, with Sid Haig, Sheri Moon Zombie and Bill Moseley all returning to their respective roles. But what about the new characters? Well, with things now in motion, the rest of the cast is starting to fill out and today we’re learning that Zombie has added Austin Stoker to the line-up in an undisclosed role. 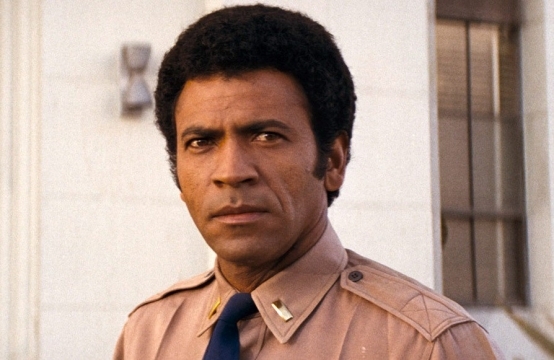 The genre actor is perhaps most famous for playing Lt. Ethan Bishop in John Carpenter’s Assault on Precinct 13, but has also appeared in films like Battle for the Planet of the Apes, Horror High and Airport 1975. We don’t imagine he’ll have a huge part in 3 From Hell, but we’re still happy to see him involved nonetheless. As for the rest of the cast, no further announcements have been made as of yet, but you can count on Zombie to keep us posted. After all, the director’s been pretty active on social media lately (as he usually is), sharing numerous set pics that provide a look at what’s going on behind the scenes – which is very welcome. We’ll be keeping a close eye on The Devil’s Rejects 2 – or should we say, 3 From Hell – as it continues to coalesce, but with production now underway, it shouldn’t be too much longer until we have some real, tangible info for you to sink your teeth into. As always, stay tuned for more.